My summer holiday is planned: heading back to Denver and going to see a concert. Vacation doesn't get much better than that. 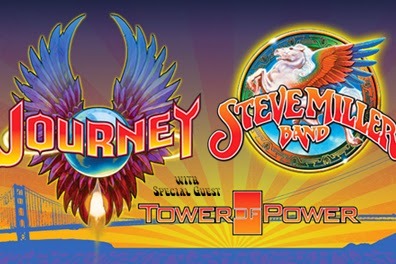 I got my ticket to see The Steve Miller Band, Journey and Tower of Power. Now that I know that I'm going I have the phrase, "Some people call me Maurice (cool guitar bit), 'Cause I speak of the pompetous of love" firmly stuck in my head! I bought my first Steve Miller album (yes, album) back in the mid-70s and probably wore it out. I particularly like this version of "Fly Like An Eagle"